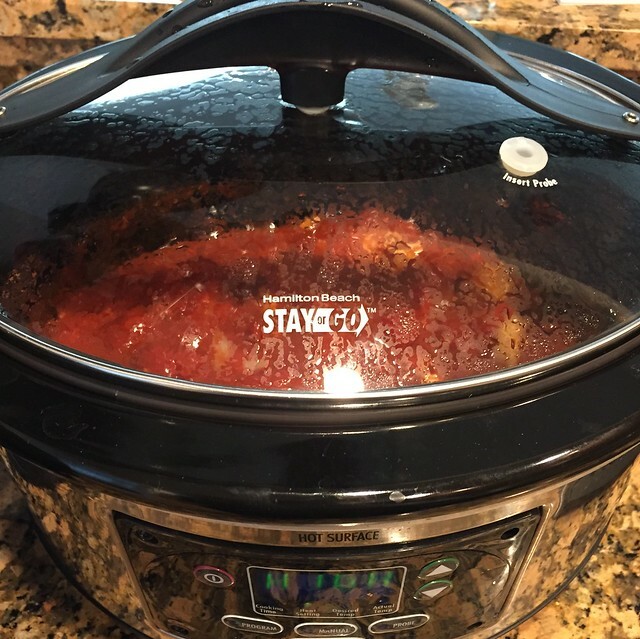 I LOVE my crockpot! I am pretty sure that there is no way that I could get through the Whole 30 (more about what that is) without it! I love to just throw things in the during lunch and by the time I come home for dinner, I have an amazing meal! I am trying to make sure that I make really flavorful, warm meals on the whole 30, so that I don't get tired of the same old raw veggies. Since my roommate had some chicken breasts in the freezer for a few months, I figured I would turn them into dinner for us! Just combine all of your ingredients in the crock pot, then add the chicken and cover with the sauce. Cook on high for 4-5 hours. When it's done, just stir it and the chicken will shred. 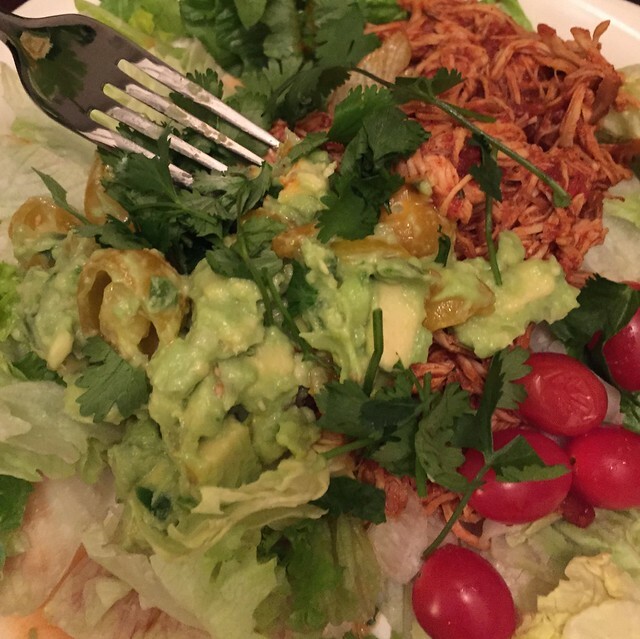 Serve on lettuce with fresh Guacamole! So good and so easy!